A Super Bowl commercial that Fox said was too controversial to air was revealed online during half time. The ad, by 84 Lumber, featured a huge wall -- with a large wooden door built into it. The final message of the ad: "The will to succeed is always welcome here." The 90-second part of the commercial that did appear on TV showed a Hispanic mother and daughter as they leave their home on a long journey. Online, the extended video shows them arriving at the foot of a massive wall. The mother begins to cry and the little girl pulls out an American flag she'd made from scraps she picked up along the way. Eventually the mother notices a bit of sunlight and follows it to the foot of the wooden door. The extended cut of the ad was made available during halftime on 84 Lumber's website, and the site crashed almost immediately. Still, people were able to watch the end of the ad on YouTube and reacted swiftly on social media, for the most part with praise. Others criticized the company for being pro-immigration, and vowed not to do business with the company again. 84 Lumber, a $2.5 billion building-supply company, said the ad was initially rejected for being too "controversial" so it cut the wall out of the ad to air it on TV. The wall was an apparent reference to the one President Donald Trump plans to build along the U.S. border with Mexico. Although 84 Lumber declined to comment as to whether the ad was pro- or ant-Trump, social media seemed to interpret the ad as being against Trump's proposed wall and in favor of immigrants. In a statement after Fox first rejected the ad, 84 Lumber said it was "looking for people with grit, determination and heart, no matter who they are, where they come from, or what they look like." 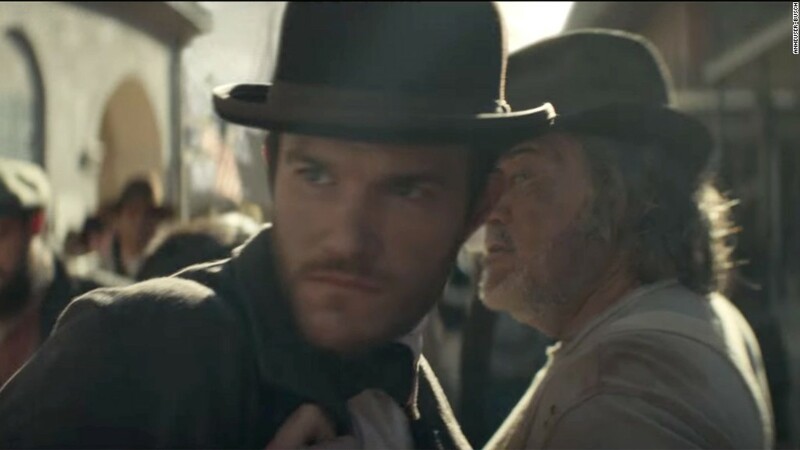 The Super Bowl ad was aimed at recruiting hard-working employees, according to a company spokesperson, and was "meant to speak to everyone." 84 Lumber, based near Pittsburgh, paid roughly $15 million to air the 90-second spot, which it hopes will help the company reach a broader audience as it expands in 2017.